Is there anything better than a nice, sunny day? Walking through the grass, feeling the warmth of the sun, and taking in the sights— few can resist the bliss that comes with a sunshiny day. And Megan the lurcher is no exception. 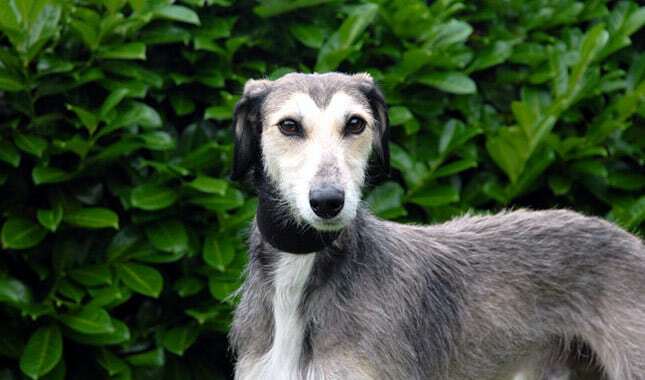 Lurchers are a breed of dog that few people know about. Lurchers are formed when you cross a sighthound with another type of breed. Usually, the other dog is a kind of terrier; however, herding breeds or scenthounds can also be used in the mix. Lurchers were known as “poacher dogs”, so the goal in breeding them was ultimately to emphasize traits like intelligence, scent, and speed. For the most part, these dogs were used for hunting— and while they’re still uncommon in the United States, they’re becoming increasingly popular for their natural skills in agility competitions. 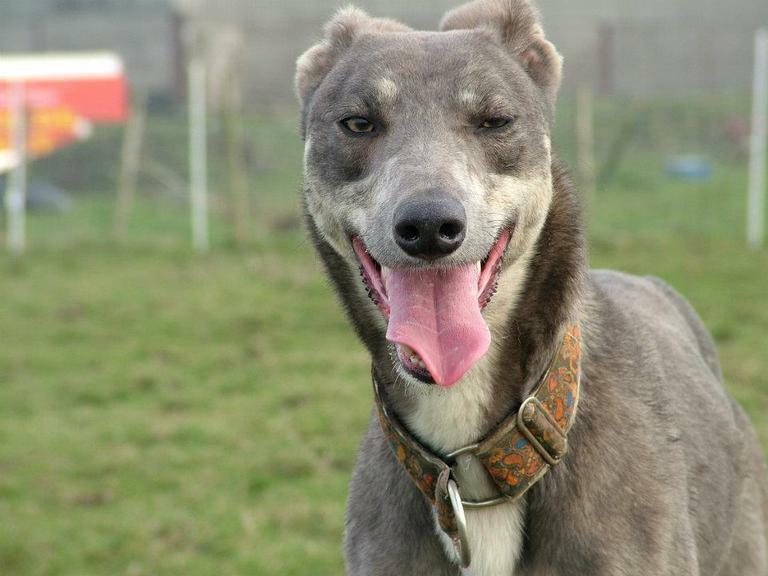 Megan is a typical lurcher in that she absolutely loves to run. She spends most of her days adventuring with her best friend Molly, an adorable Jack Russell Terrier. Together, the two spend hours running around the farm and playing in the fields. During these times together, Megan and Molly are pictures of pure, unadulterated, joy. And, in this video, captured by their owner, you get to see the heartwarming experience first-hand. 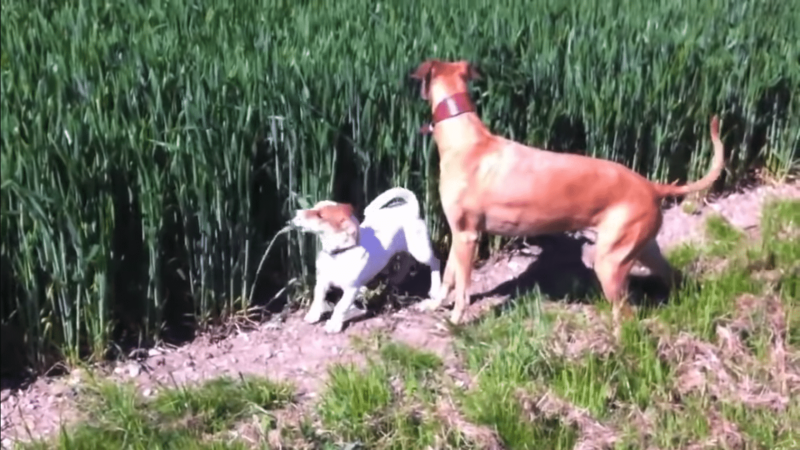 In this video, you see Megan running alongside her best friend Molly as they play near a field of long grass. 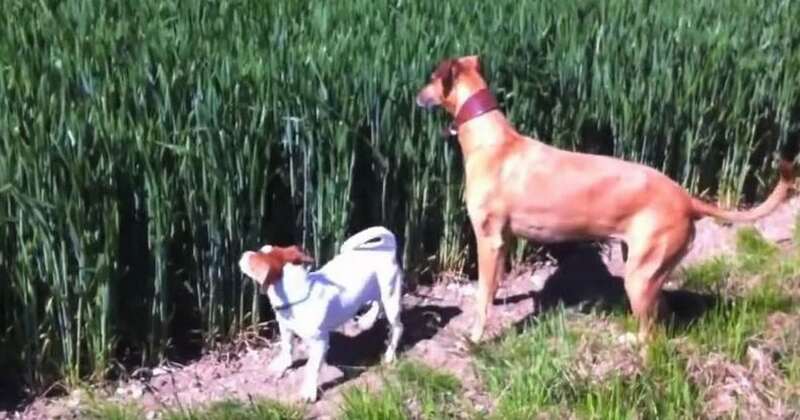 The dogs bounce around happily, and Molly even stops to snack on a long blade of grass. Suddenly, after a few seconds, you hear a whistle in the air and things begin to go wild. Hearing their owner’s call Megan and Molly immediately start heading towards him. At first, all you can see is Megan’s tail. But Megan does more than just run. She does something so awesome you have to see it for yourself. When the dog skips through the grass, she looks like an adorable cross between a bunny and kangaroo. 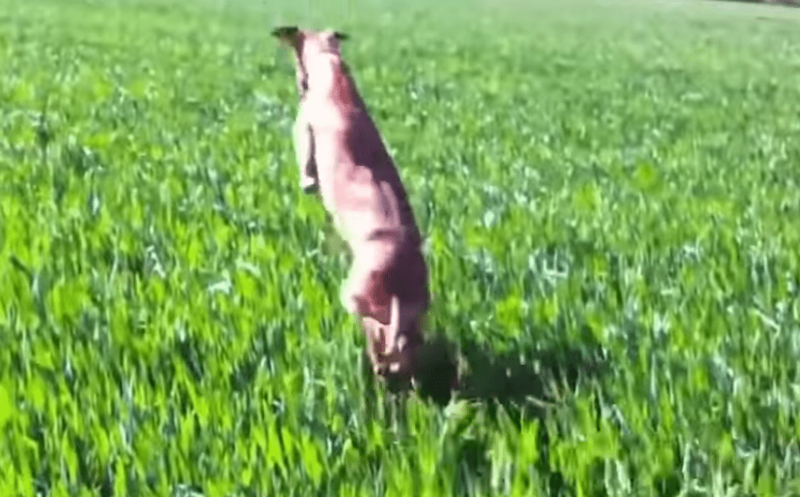 Her back legs simultaneously pop up behind her as she bounces herself through the field. She looks absolutely ecstatic, without a care in the world. At one point, little Molly falls behind— but Megan waits up for her and then is right back to her crazy antics. This video was uploaded back in 2012, but it’s recently gone viral again— and it’s not hard to see why. Watch the adorable footage below!